Some songs are bigger than a chart position - going on to sum up a moment in time or become a statement about life. "Everybody Hurts" by R.E.M. is one of those songs. Michael Stipe in the memorable video for "Everybody Hurts"
Although a substantial hit following its debut on the ARIA singles top 50 this week in 1993, its sentiment and message have seen its legacy go beyond sales success into something more meaningful. The biggest sales success of this week in 1993 was UB40's cover "(I Can't Help) Falling In Love With You", which started a seven-week run at number 1. 1993 was going to be a pivotal year for this Sydney indie band, who'd just signed a major label deal with Columbia Records. The title track of this four-track EP was the first, er, taste of the upcoming Taste album. Sampling the same song that Freaked Out Flower Children took into the top 50 in 1992, this was the first chart appearance by the hip-hop duo who would score a much bigger hit the following year. The original mix of this song was an underserving flop when it came out ahead of breakthrough single "Love U More". At least this remix gained some attention in Australia. The title track of the Australian music legend's first studio album in six years also provided him with his first top 100 appearance since 1987's "Glory Road". Sampling jazz record "French Spice" by Donald Byrd, this follow-up to "Hip Hop Hooray" came oh so close to giving the hip-hop group a second top 50 hit from the one album - a feat they've never achieved. Australia had never taken to Neneh Cherry as much as the UK or the US, with her debut single, "Buffalo Stance", reaching number 3 in both countries. That classic hadn't even made the ARIA top 20, while none of the ensuing string of excellent singles from Raw Like Sushi cracked the top 50. But Australia wasn't alone in under-appreciating the singer/rapper's second album, Homebrew, which, despite being a really good collection of songs, met with relatively disappointing sales around the world. Second single "Buddy X", which really should've been much bigger didn't even make the top 100 - either in 1993 or in remixed form in 1999. They'd started off the year with a top 10 single, and this week in 1993, Things Of Stone & Wood crept into the top 50 with the final single from debut album The Yearning. Looking and kind of sounding like one of those medieval bands of minstrels, it was fitting that the video for "Single Perfect Raindrop" was filmed in the hipster heartland of Glebe in Sydney's inner city. Number 43 "Everybody Hurts" by R.E.M. 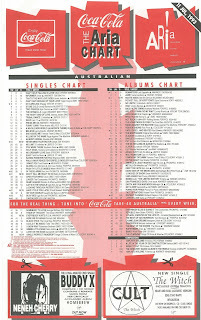 The three singles released thus far from Automatic For The People hadn't exactly set the ARIA chart alight, with none reaching higher than number 34. But that all changed with "Everybody Hurts", a song that became the biggest hit of R.E.M. 's career. Dealing with a topic that most people could empathise with if not identify with personally, the ballad spoke about the feeling of despair that drives some to suicide and offered a plea to those feeling like they've had enough to "hold on". Not exactly cheery stuff, but certainly an important message to communicate. 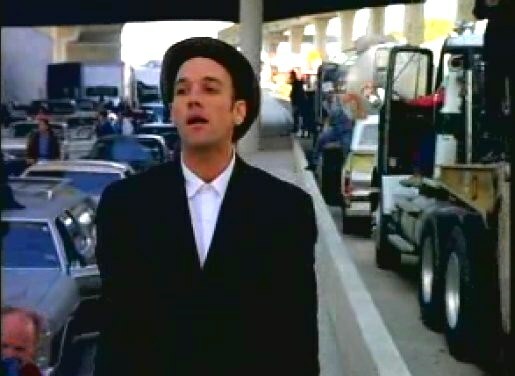 "Everybody Hurts" is one of those songs that has transcended its original performers and, as Michael Stipe once said, "This song instantly belonged to everyone except us." Seventeen years later, an all-star ensemble (and some former UK X Factor contestants) assembled for a charity cover version to benefit those afflicted by the 2010 Haiti earthquake, and numerous other performances and recordings have been made, notably a duet by Pink and Kelly Clarkson at the 2017 American Music Awards. From a song that went on to be covered numerous times, we come now to Rod Stewart's second remake of Van Morrison's "Have I Told You Lately". Originally released by Van in 1989, the song was recorded by Rod for his 1991 album, Vagabond Heart. Two years later, he included it in his MTV Unplugged set list and the live version was lifted as a single from the Unplugged...And Seated album. Rod's biggest hit here since "Rhythm Of My Heart", and a top 5 smash in the UK and the US, it was just another of his '90s singles I avoided as best I could. The highest two new entries this week came from Australian acts that had a lot to live up to - a chart-topping album each. In the case of Baby Animals, they finally got around to releasing the lead single from second album Shaved And Dangerous, having kept themselves in the top 50 (just) with 1992's standalone single, "Impossible To Fly". Although it had a pretty catchy chorus, "Don't Tell Me What To Do" was not as big as you might've expected from the band whose self-titled debut had spent almost a year on the albums top 50, but that could be because people just went out and bought Shaved... instead. Unlike Baby Animals, which took months to get to number 1, the follow-up went straight in at its number 2 peak. "Don't Tell...", meanwhile, would be Baby Animals' final top 50 single. Next week: the return of one of my favourite acts of all time, another reggae smash and a couple of minor hits from artists that'd burst onto the scene with hugely succesful songs. The title of 'Pressure Us' has always confused me. I think it is stylised as 'Pressure US' on the single sleeve, but I've always pronounced it as 'Pressure Us' (as in pressure us into doing something). Why 'Us'/'US' was added to the title, I don't know. I assume it's not actually a 'US' remix, as it was released in the UK too. Sunscreem deserved much more commercial success than they had. The unexplained 9-month gap between 'Money Love' and 'Buddy X' was an odd move, and no doubt didn't help Neneh or 'Homebrew''s success. I wouldn't have gone with 'Buddy X' as a second single, myself, though there weren't too many commercial-sounding tracks on 'Homebrew'. 'Move With Me' was released as a single in Germany, in between, but, while being a nice song, probably wouldn't have done too well either. I'm not sure that the '99 remix was released here, but it could have been. I don't know who directed the 'Single Perfect Raindrop' video, but whoever it was, I like their work. I like 'Everybody Hurts' - or, rather, did - before it quickly became overplayed. The video was striking, though. Not being a huge fan of the singles from Baby Animals' first album, I liked the more-subdued sound of 'Don't Tell Me What To Do', and one of the later singles from 'Shaved and Dangerous', which will appear early next year. "I lost my childhood qualities when I was 10" is a great lyric. While I wouldn't really say that I 'liked' 'Never Miss Your Water', it is one of Diesel's better efforts. 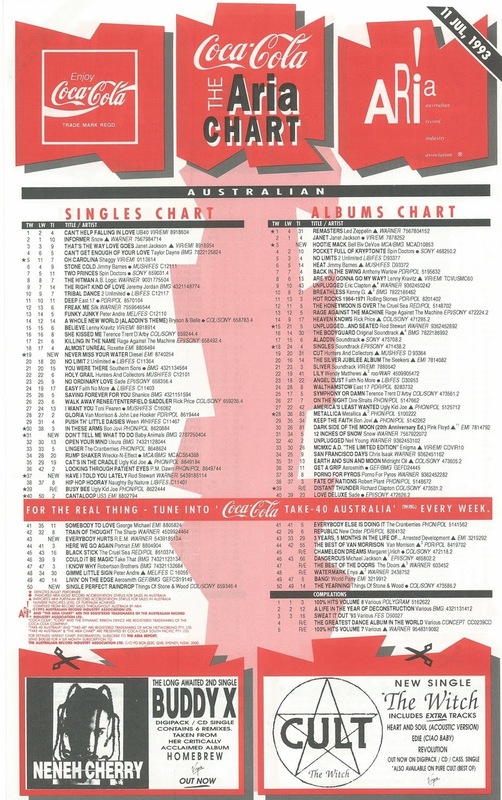 Fox FM in Melbourne were flogging it to death for weeks before its eventual release and chart debut, so I was pretty sick of it by the time it entered. When I first heard it, I thought the lyric was "you never miss your water 'til you DROWN", which doesn't exactly make sense. Nathan, from memory "Pressure US" was indeed given that name as it was a new mix made for the U.S. It was then released shortly afterwards in the U.K. So they had two versions released there. Just my memory, but I'm sure I read that somewhere. Agree on your point about Sunscreem not receiving more success.